Suprema RealScan-10 is an optical USB 2.0 fingerprint scanner that allows to perform fast capture of all 10 fingerprints. The 10 fingerprints are captured as 4 finger slaps and 2 thumbs. 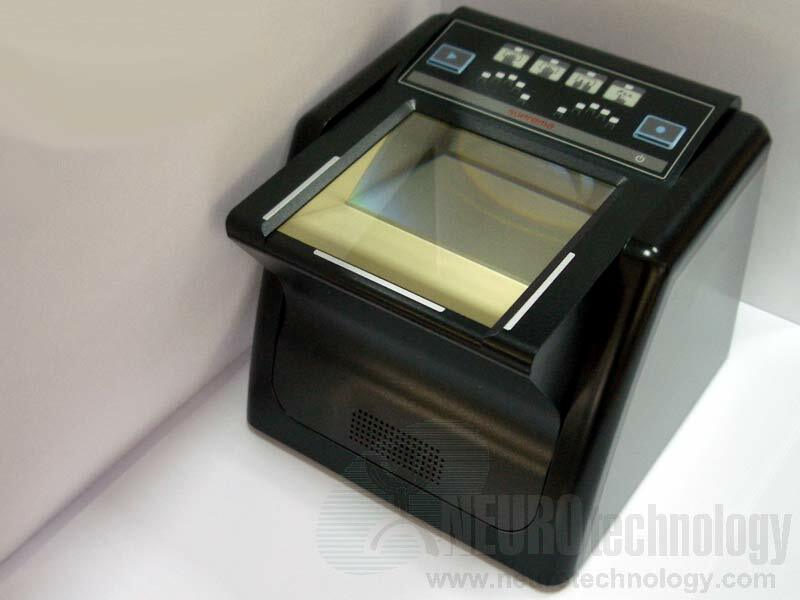 The scanner is also able to capture single rolled or flat fingerprints. The scanner is certified by FBI for civil ID and AFIS applications and compliant to IDENT, US-VISIT and DHS requirements. Scanner's manufacturer specifies that the scanner provides high quality image capturing for wet and dry fingers. The scanner has a dust and water resistant housing that also protects it from shock and vibration. Support modules for this scanner are included in MegaMatcher 11.1 SDK, MegaMatcher On Card 11.1 SDK, VeriFinger 11.1 SDK and Free Fingerprint Verification SDK. Note that FFV SDK will allow to capture only single fingerprints using this scanner, as it does not include fingerprint segmentation component.